In 2007, Time engineered a style overhaul of the magazine. 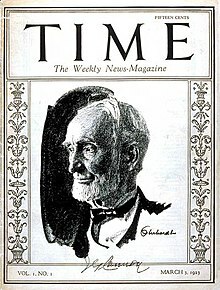 Among other changes, the magazine reduced the red cover border to promote featured stories, enlarged column titles, reduced the number of featured stories, increased white space around articles, and accompanied opinion pieces with photographs of the writers. The changes were met with both criticism and praise.